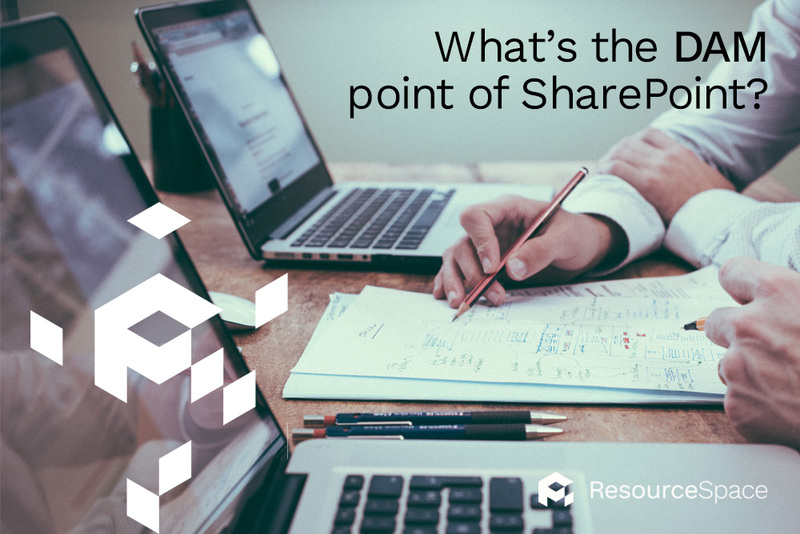 What's the DAM point of SharePoint? Are you using SharePoint in place of Digital Asset Management software? Perhaps your organisation already utilises the Microsoft product as a collaborative tool, and you figure it's pretty much the same system of file storing and sharing as a DAM anyway… right? Well, not entirely. In fact, SharePoint isn't a true DAM system at all. Whilst it does share some of the same basic abilities, it was built with a separate core function, and doesn't offer the feature-rich experience of dedicated Digital Asset Management software. So if you're using SharePoint thinking that you already have a DAM, or are getting ready to implement it as the next best thing, you might want to think again. For those with limited or short term digital asset needs, SharePoint may serve as a light version of DAM, but for teams and departments who need to comprehensively process high volumes of important assets on a daily basis, it's time to take DAM seriously. Reading our white paper now will give you the information you need to decide whether SharePoint really can meet your DAM expectations, or whether it's time to go for the real thing. Outgrown SharePoint? ResourceSpace is the DAM that gets the job done. Don't be limited in what you can do with your assets - if you're ready to move beyond the fundamentals of SharePoint and experience an incomparable DAM system, start your free trial of ResourceSpace today. To talk to the team further about how DAM could benefit you, or to discuss how we can help you to progress from SharePoint, simply get in touch.